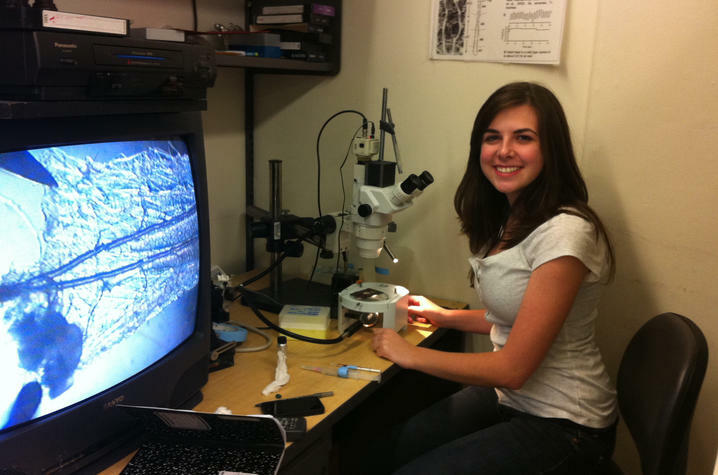 LEXINGTON, Ky. (May 22, 2013) ― How do young college-age scientists spend their summer? They do research, of course. And two University of Kentucky undergraduate students have received prestigious American Physiological Society (APS) Undergraduate Summer Research Fellowships to conduct their work this summer. Only 24 undergraduates nationwide were selected to work in laboratories of established APS investigators. Kyeong Ran (Rachel) Jang, a biology major from Louisville who just finished her freshman year, and Audra Stacy, a senior biology major from Elkhorn City, Ky., received $4,000 each to conduct their research over a 10-week period this summer. Each of them also received $1,300 to travel to the APS annual Experimental Biology meeting, a broad-based scientific meeting of five to seven diverse biological scientific societies that are members of the Federation of American Societies for Experimental Biology. The meeting, held in spring 2014, will allow the students to meet other undergraduate students, graduate students, and researchers in addition to all the scientific presentations they will attend. 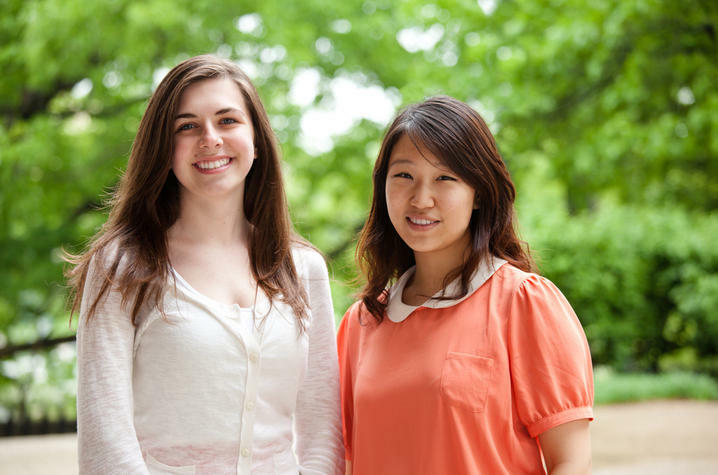 Jang and Stacy value the opportunity the summer research fellowship provides. 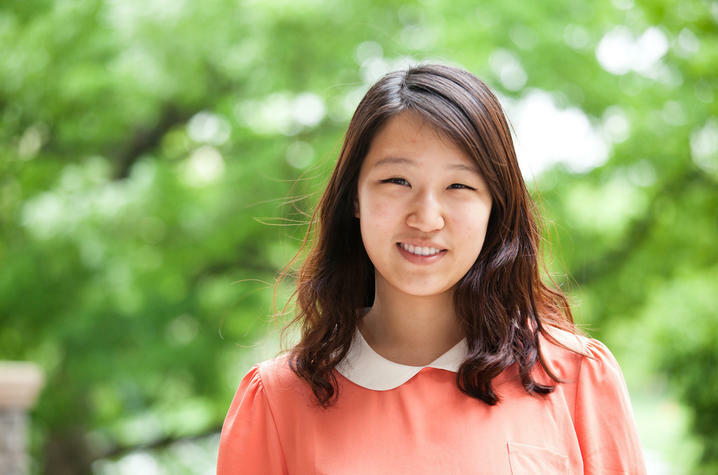 "It is very meaningful to me that I get to come up with an experiment design and carry it out myself," said Jang, who had never conducted her own research project before attending UK. "It will be the first stepping stone to my research career and a springboard for my medical education that is forthcoming." "This fellowship means quite a bit to me," Stacy said. "It allows me to further my research substantially and gather more data that will help me to expand my Honors independent research project." Jang is working this summer with John C. Gensel, UK assistant professor of physiology in the Spinal Cord and Brain Injury Research Center. Her research involves comparing manufactured cell lines to naturally obtained cells lines used therapeutically to regain function following a spinal cord injury. She is responsible for formulating her hypotheses, isolating primary cells, growing cell lines, generating cultures, preparing and quantifying data, and writing and presenting her findings. Stacy is working with Robin L. Cooper, UK associate professor of biology, and Zana Majeed, a faculty member at the University of Salahaddin in Iraq. She is studying how pharmacological intervention can affect the physiological process involved in controlling the heart rate in the fruit fly, a common animal species used in research. She is studying the mechanism by which different types of serotonin increase the heart rate. This is ongoing research for Stacy, and she plans to submit her work for publication soon. 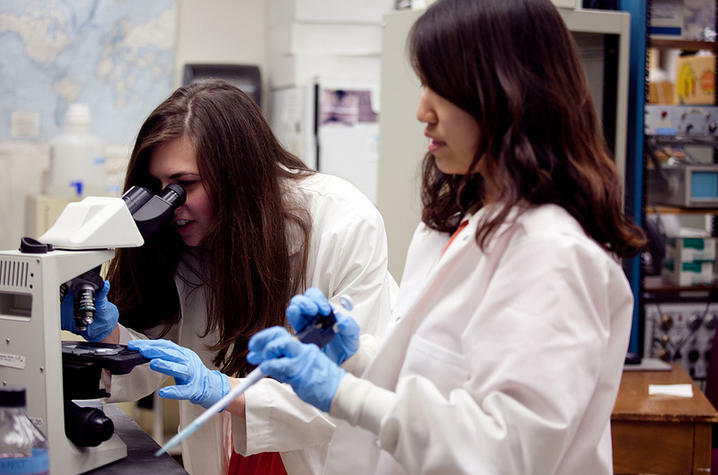 The highly selective Undergraduate Summer Research Fellowship program was established in 2000 as a way to excite and encourage students to pursue a career as a basic research scientist. Stacy and Jang bring the total number of UK students who have received this fellowship to nine over the past several years.